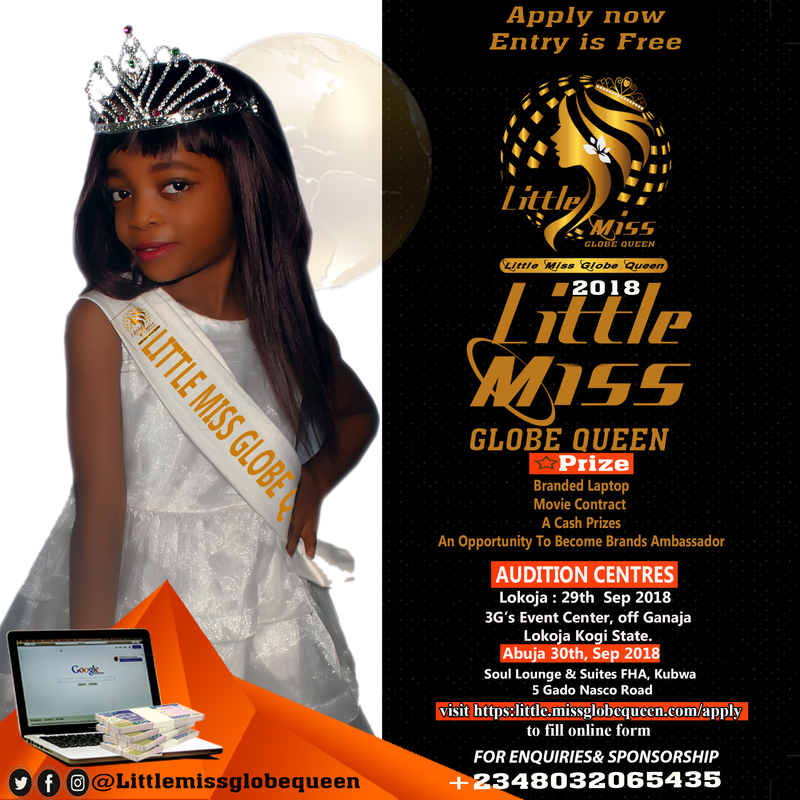 The search is on….. who becomes LITTLE MISS GLOBE QUEEN 2018. Are you a Female kid or do you have a kid sister or daughter between the ages of 7yrs to 12Years ? Is she Goodlooking ,Smart n Intelligent? Do you think she has got what it takes become “Nigeria Child Ambassador” representing and instigating thousands of kids in the campaign against child Abuse? Would you love her to have social media Appearances (TV,Radio,Online & prints)? LITTLE MISS GLOBE QUEEN 2018. Https://little.missglobequeen.com/apply to fill an online form or request for the form to be sent via email.